GREEN REALLY DOES mean CLEAN! Our 5 step process takes a little longer than our competitors, but our clients are worth the extra effort. First we do a visual walk through with our client to assess what needs to be cleaned. We do a pre-clean vacuum of the carpets/upholstery to remove as much dry matter as possible before any wet process begins. Next, we apply the pre-spray application with our plant based "green" cleaning solution to the entire area. This treatment "sits", to loosen and dissolve the remaining stains and dirt. Lastly our powerful steam extraction system is used to remove the pre-spray solution and loosened dirt, leaving no residue behind. 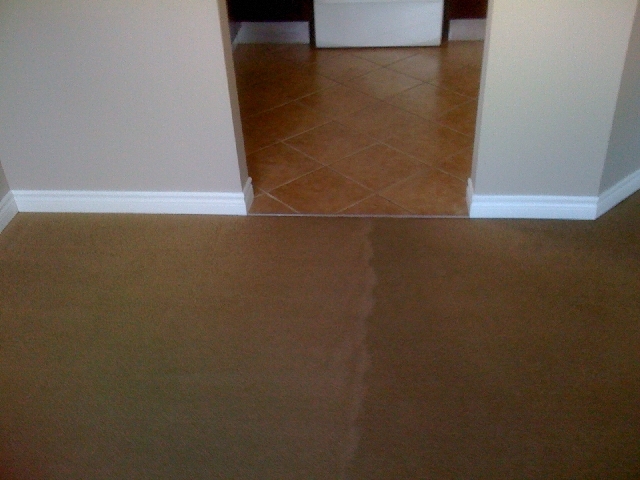 The result...carpet and upholstery that remains cleaner, for a much longer period of time.